Who said flash portraits had to be complicated? With Gina’s brand new ebook, Fast FLASH, they don’t have to be! Talented and world-renowned photographer, Gina Milicia, has been using flash lighting techniques in her portraits for over 25 years – photographing A-list celebrities, heads of state… even royalty. Now in this follow up to her best-selling ‘Portraits’ ebook series, she’s sharing all her best flash lighting secrets, tips and techniques. With her practical, easy-to-understand advice, you’ll be shooting AMAZING flash headshots and portraits in no time at all. And studio-quality results don’t necessarily require high-end gear either. 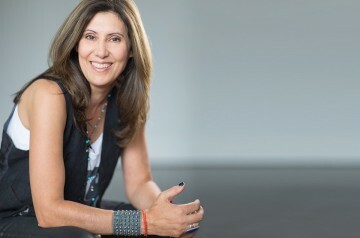 In fact, most of Gina’s examples in the ebook were shot using a budget lighting kit! You can have a great pose, an amazing connection with your subject and a superb location – but without the right light, your portrait shots simply won’t pop. This 125-page ultimate how-to guide takes away the guesswork and will give you the skills and confidence to create the light you need with absolutely stunning results! Get ready to take your pictures of people to a whole new level! When it comes to shooting stunning portraits, lighting can be the X factor in making your pictures pop. For 25 years, world-renowned Portrait Photographer, Gina Milicia has used lighting techniques to create portraits with true richness and soul. In her follow up to Portraits: Making The Shot, she shares all her lighting know-how so you can start taking portraits like a pro. Is Our Portrait Lighting eBook for You? Read more or order now! Whether it’s taking pictures of our friends, kids, partners or even ourselves – for a lot of photographers, people are what we’re looking at through the viewfinder (or on the LCD) when we line up a shot. Yet so many of us struggle to take portraits with the ‘WOW Factor’. 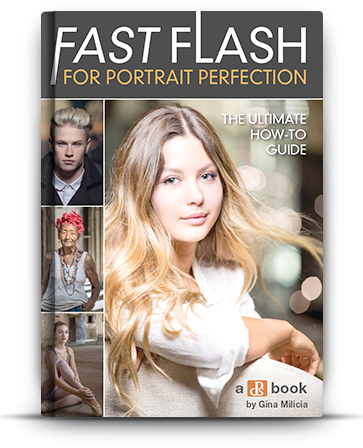 We wanted to help you achieve your true potential as a portrait photographer, so we’ve released a comprehensive 84 page downloadable eBook (this is not a hard cover book – it is a PDF eBook) to teach you the secrets of stunning portraiture. Portraits: Making the Shot is bursting at the seams with practical and down to earth portrait photography advice, tips and imagery. It has been created to do one thing, transform your dull and lifeless pictures of people into beautiful works of art. We’re so confident that it will, we’re backing it with a money-back guarantee. No questions asked. Transform your dull and lifeless pictures of people into simply stunning portraits. Gain the confidence you need to post process like a pro. Learn exactly how one of the best portrait photographers would processes her images. Get started with 12 FREE Lightroom presets (personally used by the eBook’s author). It’s taken this eBook’s author Gina over 15 years to evolve and refine her personal approach to post processing and she’s sharing it all with you in her fourth dPS eBook. 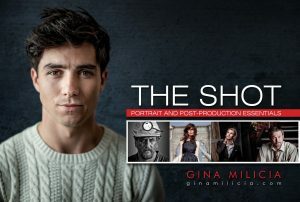 With such a refreshing, inspiring and easy to follow style, it’s no surprise tens of thousands of dPS readers have improved their own portrait photography through Gina’s teachings. By the end of this eBook you’ll have the courage and the tools you need to create your own perfect portraits shot after shot – we guarantee it. Ep 27: Great Glass: the best portrait lenses for beginners, enthusiasts and pros.